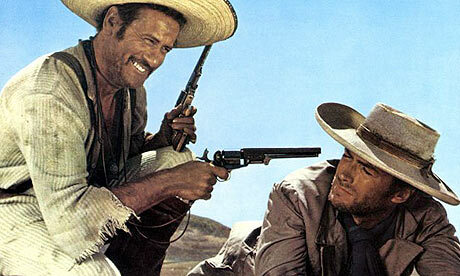 The plot is nasty: Mexican bandit Tuco (the Ugly, played by Eli Wallach) has a bounty on his head for numerous crimes. He befriends quiet and mysterious Blondie (the Good, played by Clint Eastwood) who turns him in for reward money which they split after Blondie saves him from hanging at the last-minute. Angel Eyes (the Bad, played by Lee Van Cleef) gets wind of a hidden chest of gold owned by a confederate soldier. He sets off to find it in a dusty wasteland of whitewashed villages, mangy dogs and wailing winds. Those Mexican bandits are unmerciful! Considered the most popular of the Spaghetti Westerns filmed in the 1960s, The Good, the Bad and the Ugly (1966) is the final movie of the “Dollars” trilogy, which began with A Fistful of Dollars in 1964 followed by For a Few Dollars More in 1965. I’m sure many of you remember the unusual musical compositions played throughout the movies. Clint Eastwood, clothed in a Mexican serape, typically sizes up a situation with precarious eyes. Most Spaghetti Westerns, also called Western all’Italiana (Italian-Style Western) became highly popular in the 1960’s and were produced, directed and performed mostly by Italians. 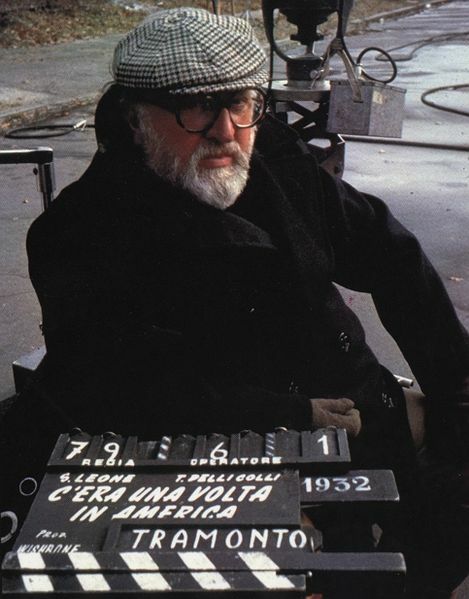 Filming took place in various parts of Italy as well as Spain. The term Spaghetti Western derived from foreign critics who believed they were inferior to American Westerns as typically lower budget. However, many were authentic with admirable artistic workmanship. Characterized by more action than their American western counterparts, the dialogue is typically sparse while music is used to create mood and drama. In other words, there is less talk and more action. Revenge, anti-heroes, psychopathic villains, fierce family loyalty, greed and sadistic acts make up the main thrust. Mexican bandits are loud and sadistic, and names are unusual. Instead of names like Will Kane or Roy Rogers, the characters often have names like Ringo, Django, Johnny Oro or Sutata. Further evidence of Italian influence is the overall Catholic genre in the movies. Outdoor scenes of the higher budget movies were often shot in Andalusia, Spain and near Madrid. In Italy, the area around Rome was often used. 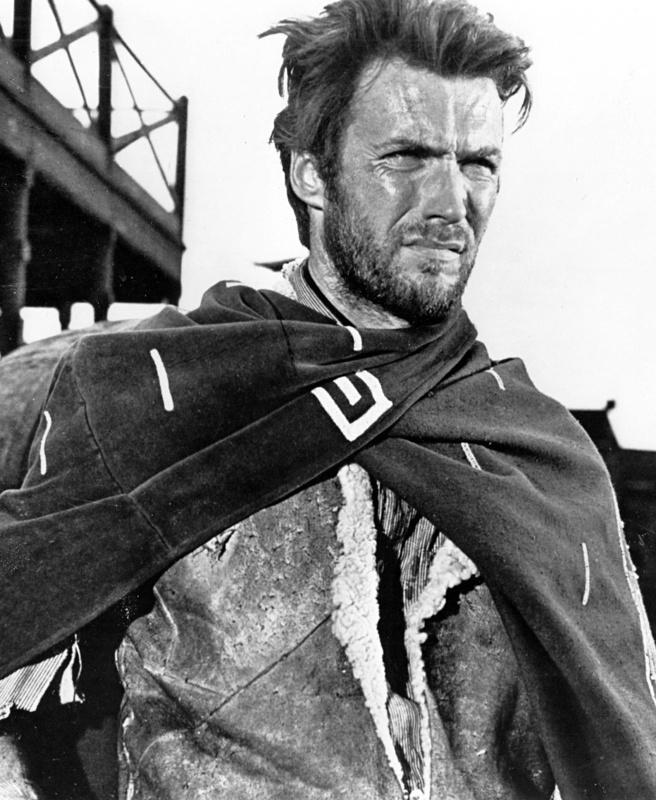 Filming for The Good, the Bad and the Ugly began at the Cinecittà studio in Rome. All three movies were scored by Italian musician and conductor Ennio Morricone. Known as a versatile, prolific and influential film composer, he embellished the “Dollars” trilogy with an emotional punctuation that lead to its great success. In his compositions, he used the trumpet, the harp and electric guitar while adding a whistle, cracking whip and gunshots. The resulting harmony helped propel these movies to great success. 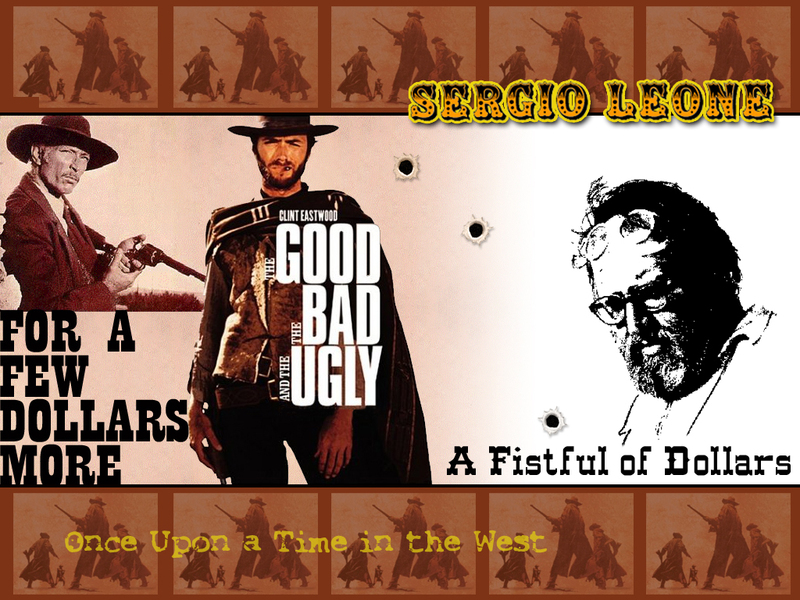 * The Good, the Bad and the Ugly ~ 2 minute clip of movie highlights with Ennio Morricone’s theme song. Susan, I just learned something new. Would you believe I didn’t know why they were called spaghetti westerns until reading this post? Now I can’t wait to ask my husband if he knew why–he usually has the answer for everything (opposites attract). Susan, my husband knew the answer–no surprise to me. I’ve always admired his brains as well as his heart. ❀ Blessings on your week. I think I watched every single spaghetti western growing up and not by choice! My dad was a huge fan of the genre and still is! We had one TV and had to sit through the movies. Oh, I know that feeling! I think it would be fun to go again Cristina, but just don’t expect the exact same experience. It might even be better! Yep, I think they all fall into the bad a*s catagory! Thanks for the comment. A great post – is it still possible to see the landscapes around Rome where the film was done? (and I agree, Morricone’s music is both unique and an important element of the movies). That I don’t know for sure. Rome has tour groups that offer movie set visitations. But there are two studios, Cinecitta and Elios located in Rome where the indoor shots for the movie were done. Sergio Leone also produced “My Name is Nobody” starring Terence Hill, who plays “Don Matteo” on Italian TV. A true classic. Susan! Love this post….the subject is close to my heart. Hubby’s family is from Rome and his uncles have a special effects business there. They worked on these films… IN FACT….during the filming in Spain, one of the uncles fell in love with a Spanish girl and married her. Their sons (hubby’s cousins) continue to do special effects for most movies filmed in Italy. It seems super cool to me. Sometimes we get to go on the sets. I get all excited, to them, it is just another day at the office. Anyway…..thanks again for the great post.